May is a very special month for women. Not only is it Mother’s Day on the 14th, but it is also Women’s Health Month, dedicated to raising awareness to the unique health needs of women. At Feigenbaum Dental, we want to help you show the special woman in your life just how much you care by putting her oral health first. All too often, mothers and women put their own needs on hold as they care for everyone else. This month, it is Mom’s turn to take care of herself. Where is a dentist near me? Look no further. 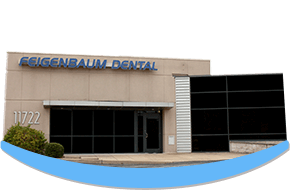 Feigenbaum Dental will provide you with the care you deserve. Your overall health is directly linked to your oral health. If you have dental problems, like gum disease, your health can significantly decline. To promote your health and wellness, schedule a preventive appointment. With a regular dental cleaning in Creve Coeur, we will help you reduce the risk for dental complications, like gum disease. In addition, we will monitor your oral health to detect potential dental concerns sooner. We will help you achieve a lifelong healthy smile by reaching your oral health goals. As a woman, it is easy to put your own problems on hold. If you have untreated dental problems, make them a priority this month. The longer you delay care, the more extensive the damage will become. This will result in costly and invasive procedures. Not to mention, your oral functions and quality of life can start to decline. Whether you need a root canal or need to replace missing teeth with dental implants, we have the restorative procedures you need to rehabilitate your dental health. We use the best dental technologies to provide superior results. The appearance of your smile is important to your confidence. If you do not love how your teeth look, your low self-esteem will impact your life in many areas. Now is the time to get the confidence you deserve with cosmetic dentistry. We offer an array of cosmetic procedures to transform the appearance of your teeth. We will create a customized treatment plan to give you a dazzling smile to hold your head up high. You can take years off the appearance of your smile with a professional whitening treatment. You can improve your oral health and confidence with a straighter smile. Using Invisalign, you will get the straight smile you have always wanted with a sophisticated treatment. We also offer porcelain veneers and cosmetic dental bonding to drastically transform the appearance of your smile. May is a very special month for women everywhere. Feigenbaum Dental wants to help you receive the dental care you deserve. As you make your own dental health and confidence a top priority this month, we look forward to being by your side. Contact our office today to schedule a consultation because you deserve to benefit from the best.